Sdružení CEREBRUM si Vás spolu s fotografkou Lucií Bláhovou dovoluje pozvat na vernisáž výstavy velkoformátových fotografií. "Život po poranění mozku se může přihodit i tobě", která se uskuteční 2. června 2009 v "kavárně Velryba" (Opatovická 24, Praha 1) od 19:00 hodin. I v letošním roce se díky organizaci SME bude konat koncert ke "Dni epilepsie". Koncert se uskuteční v neděli 4.10.2009 od 18:00 v Lucerna Music Baru v Praze. .
EpiStop – název pro pracovní skupinu, jejímž hlavním cílem od jejího vzniku bylo a je zlepšit život lidí s epilepsií. Na začátku byl geniální nápad doc. Komárka vytvořit dobrovolnou skupinu lidí, lékařů, pacientů, novinářů, právníků a dalších zainteresovaných, kteří budou řešit problémy lidí s epilepsií, hledat cesty, které zlepší stávající situaci. Tato aktivita tehdy ve svých začátcích našla finanční, organizační, realizační podporu u vzdělávacího centra firmy GSK, Mediforum. Během další činnosti EpiStopu se hlavním hnacím motorem aktivit stal s obdivuhodným osobním nasazením Dr. Dolanský, který vždy našel čas, energii, nápady, co by se mělo udělat dál. Vznikl tak zcela výjimečný funkční celek, jediná platforma, kde se skutečně reálně setkávají lékaři a pacienti, řada dalších zainteresovaných. Z mého pohledu je EpiStop jediným společenstvím, které i díky úžasně citlivé koordinaci jednotlivých participantů Kateřinou Koubkovou, skutečně reálně změnilo řadu věcí omezujících život lidí s epilepsií u nás. Byly vytvořeny a vydány minimální diagnostické a terapeutické standardy, při jejichž tvorbě se v diskusích tříbily i názory epileptologů na jednotlivé kapitoly. Vznikla linka pomoci, webové stránky. Díky aktivitě EpiStopu se začaly měnit legislativní omezení týkající se řidičských oprávnění, lázní, invalidních důchodů. EpiStop udělal obrovský kus práce na poli zlepšení informovanosti společnosti o problematice epilepsie.Aktivita EpiStopu byla a je výjimečná a je to opakovaně možné vnímat i při prezentacích výsledků jeho činnosti ať před odbornou lékařskou nebo před laickou veřejností. Rozhovor s MUDr. Janou Zárubovou na rádiu Impuls ze dne 20.7. 2008. 1. The association goal is to create a platform for meeting, cooperation and activities of all groups and persons related to people with epilepsy (patients, patient groups’ representatives, healthcare professionals, expert associations, social workers, state administrative officers, media representatives) in order to improve these people position in the society. 2.1.2 expert analysis and proposals of legal regulations concerning the people with epilepsy (e.g. driver licenses,, disability pensions, spa, etc. ), dissemination of information about new regulations. 1. The association member can be physical and legal persons that satisfy the membership conditions defined in the association articles. 2. There are two different types of membership: active membership (with voting right) and passive membership (without voting right). 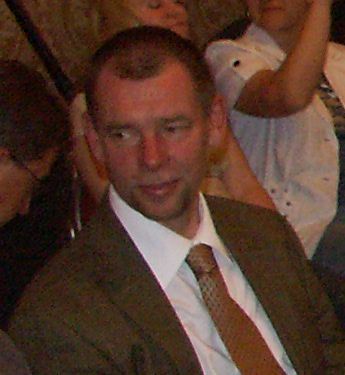 Mr. Petr MARUSIČ, M.D., PhD. 2.1.2 The Member Meeting has to approve the registration of a new active member based on the written application. 2.1.3 The active member has right to participate in the Member Meeting sessions and to vote in them. 2.1.4 The active member can be elected in the association bodies. 2.1.5 The active member has right to submit proposals and complaints to the association bodies and to require their answer. 2.2.1 The Board has to approve the registration of a new passive member based on the written application. 2.2.2 The passive member has right to participate in the Member Meeting sessions and to propose decisions but he does not have the voting right. 2.2.3 The passive member has right to submit proposals and complaints to the association bodies and to require their answer. 3. The Board records the list of the association members. The Board issues the certification of membership based on the member’s request. 4. Membership is annulled by the member resignation in the written announcement to the Board or by member’s death, cancellation of membership by the Member Meeting decision, cancellation of the association. d) to avoid damaging the association interests and reputation. 1.2.1 The Member Meeting is the head body of the association. 1.2.2 The Member Meeting includes all members of the association. Only active members have the voting right in the Member Meeting sessions. 1.2.3 The Member Meeting shall be convened at least once a year. m) discusses and approves other questions and problems defined by the association articles or by the Member Meeting decision. 1.3.1 Each active member has one vote. Votes of all active members are equal. 1.3.2 The Member Meeting has the competence to take decision in the presence of the majority of active members. 1.3.3 The Member Meeting takes decisions by the majority of present active members, except of voting on Article 1.2.4 a), i) and j) when the majority of all active members is needed and Article 1.2.4 k) and l) when the majority of 2/3 votes of all active members is needed. 1.3.4 The Member Meeting session is presided by the Board chairman or the Board vice-chairman or by an active member elected by the Member Meeting. 2.1 The Board is the executive body of the association and it is responsible for its activities to the Member Meeting. The Board manages the association activities in the period between the Member Meeting sessions. 2.2 The Board membership originates by the Member Meeting decision based on the proposal of any of its members. The Board has 3 members. 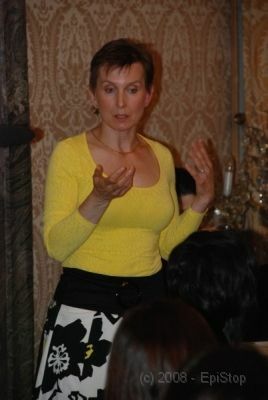 The Board Chairman Ms. Jana ZÁRUBOVÁ, M.D. The Board Vice-Chairman Mr. Petr MARUSIČ, M.D., PhD. 2.3 The Board Chairman, in case of his absence the Board Vice-Chairman convenes the Board at least twice a year. 2.4 The Board membership ends by the Member Meeting recall or by the written resignation delivered to the Board. i) decides other questions and problems defined by the association articles or by the Member Meeting decision. 2.6 The Board has the competence to take decision in the presence of the majority of all its members. The board takes decisions by the majority of its present members. The Member Meeting or the Board has the competence to establish other bodies or commissions of the association. The Board chairman along with another Board member or the Board vice-chairman along with another Board member are entitled to act on behalf of the association. 2. Expense include costs of the association activities executed according to the association articles and also costs of activities approved by the Member Meeting decision. 3. Financial transactions and accounts have to be recorded pursuant to valid legal regulations. 4. All financial and assets transactions must be approved by the Board. All financial and assets transactions over 500.000 CZK must be approved by the Member Meeting. 1. The association can cease to exist by the Member Meeting decision on the association cancellation or by the merge with other association or by the Interior Ministry decision on the association cancellation. 2. In case of the association cancellation, except of the merge with other association, financial settlement has to be done pursuant valid legal regulations as in case of the cancellation of partnership.